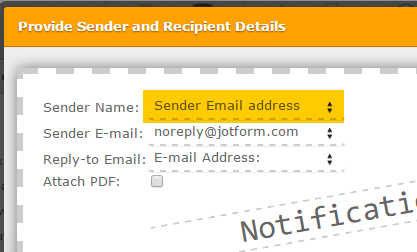 I want to include the form submitters email address in the notification email to me. Can this be done? Hello, I have looked at your setting up email notifications link but am still confused?! I used to have it set up like this with Forms Central. Please help. Thanks. 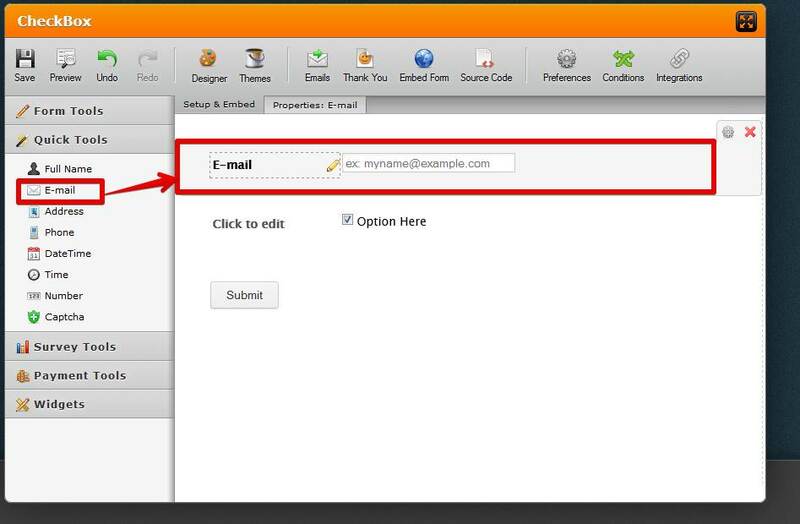 You can include by selecting the email field in the email notification template, make sure you have an email field in you form that collects the email address. By default it should be added automatically, but just in case you can do it manually. Hello Sammy, for some reason i cant get the box up that you show? Which is typical! I don't want the clients email address in the subject line though. I would like it to automatically put this into the 'from' field so when it arrives I know who's filled the form in without opening the email. Is this possible please? I understand that you want to include the client's email in the from field of your email. Though it is not possible using the direct method, it may be achieved by including the email address in the senders name field by duplicating the email field on the same form. 1. 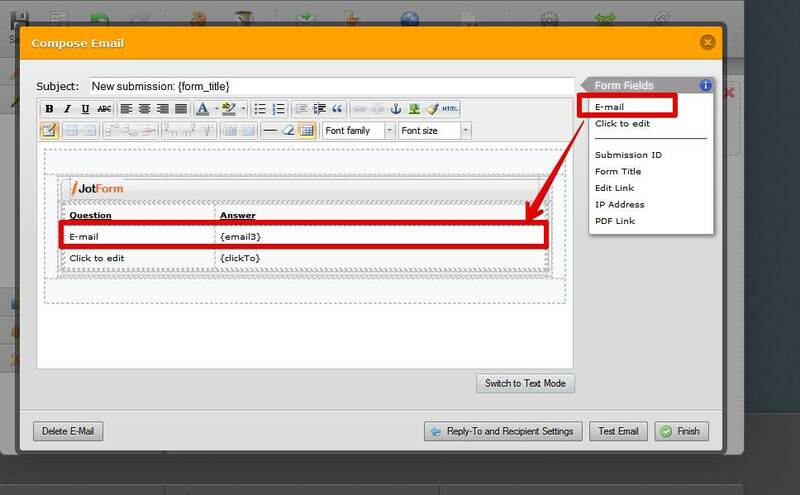 Add a new text box field below the email address field and hide the field. To hide the field, right-click on it and select Hide field from the quick menu. 2. 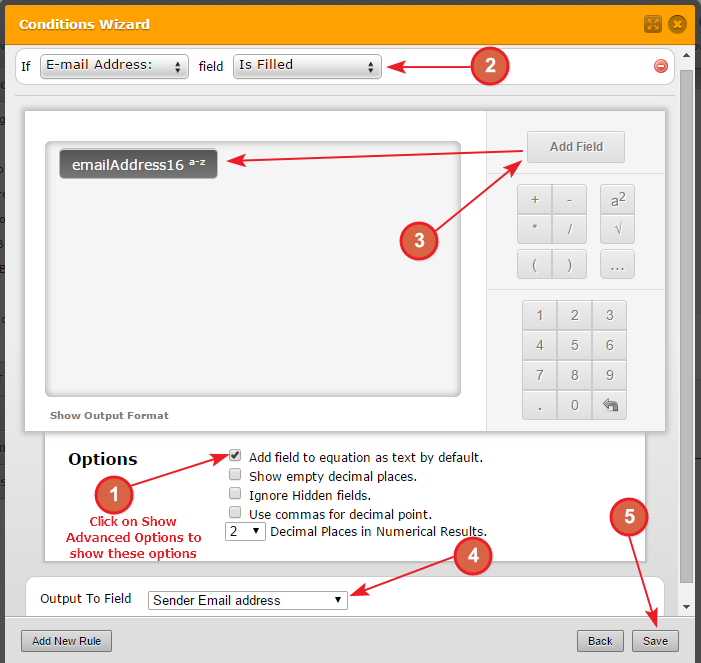 Now, add a new condition as mentioned below in the screenshot to copy the content of the email field to the new text box field. 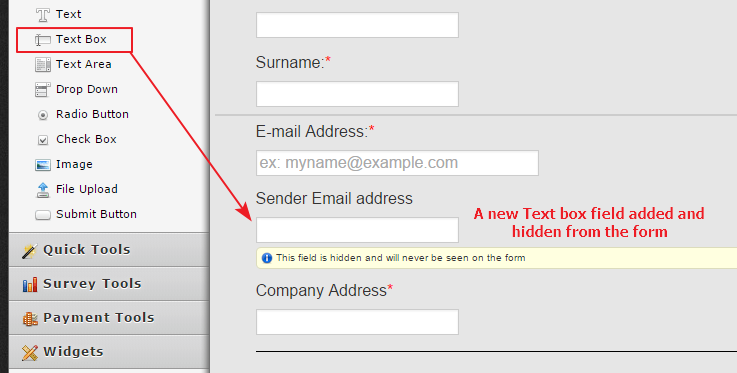 This condition helps in changing the value in the text box each time the email address on the form is changed. I've cloned your JotForm to my account and have tried these changes. 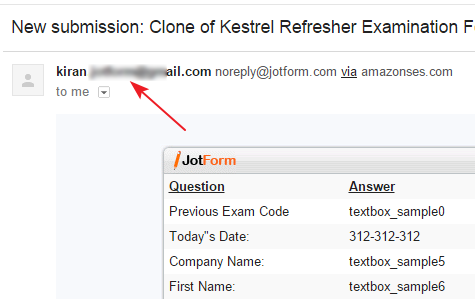 You may clone this JotForm to your account to see how it works.